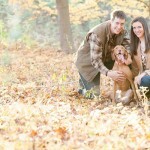 I love when couples include their dogs in their engagement photos. 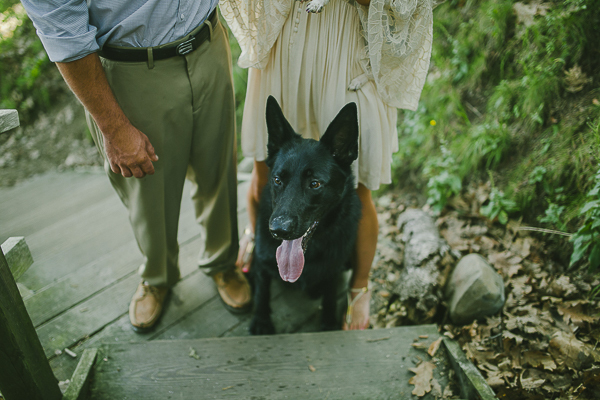 These dreamy photos by Greta Tucker Photography include an awesome photo bomb by their dogs. 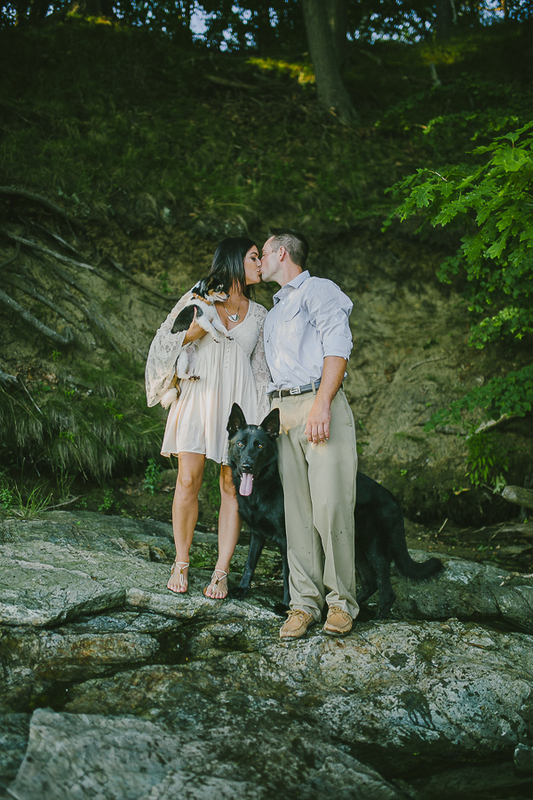 Amanda and Kyle have a handsome German Shepherd and a small mixed breed. 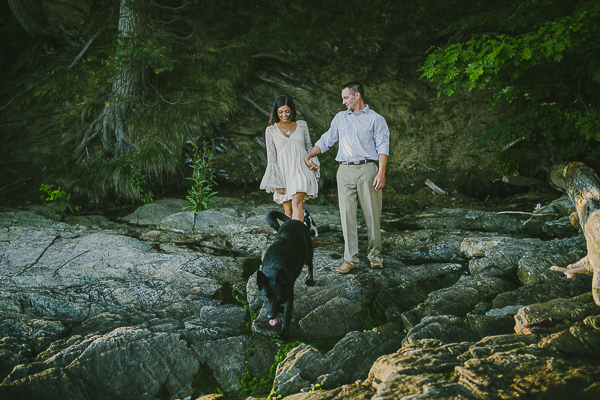 From Greta: “Amanda and Kyle live in Massachusetts but traveled to Mackworth Island in Falmouth, Maine with their two dogs Gunther and Molly for their engagement photos. 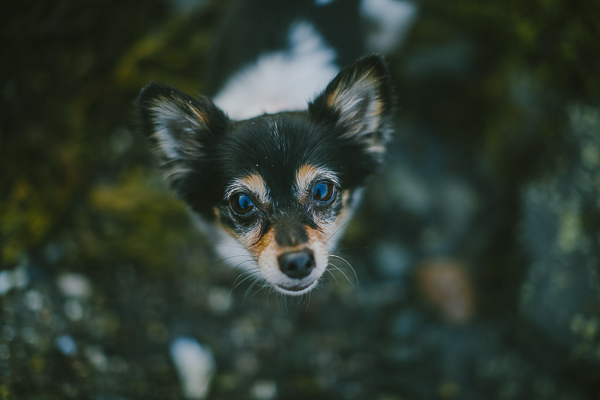 They have two beautiful dogs and purchased their first home together in 2014. Kyle proposed the following January – after eight long years of being together. Amanda and Kyle had an incredible vacation skiing in Jackson Hole, Wyoming for a week and then headed to Yellowstone National Park to wrap up the vacation. They rode snowmobiles to the summit of Two Top Mountain, Montana and Kyle got on one knee and with the ring box upside said ‘I know I’ve made you wait too long, but will ya?’ She, of course, said yes, and the rest is history. 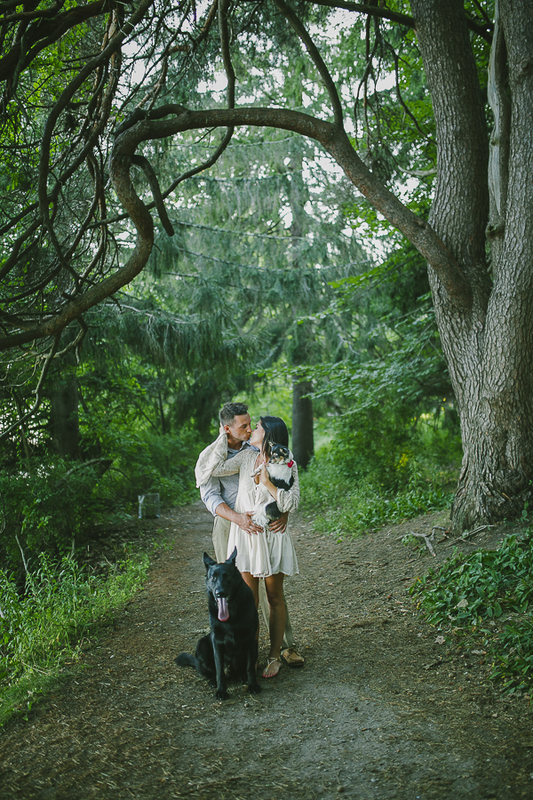 They are now looking forward to their summer wedding at the Smith Barn at Brooksby Farm. Amanda adopted Molly from Northeast Animal Shelter. 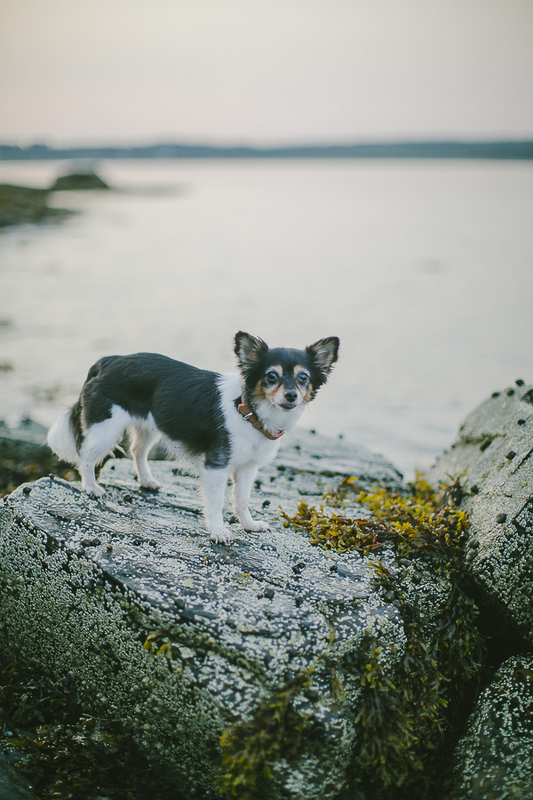 Molly is a ten-year-old Chihuahua and Papillon mix. Molly and Amanda are inseparable. 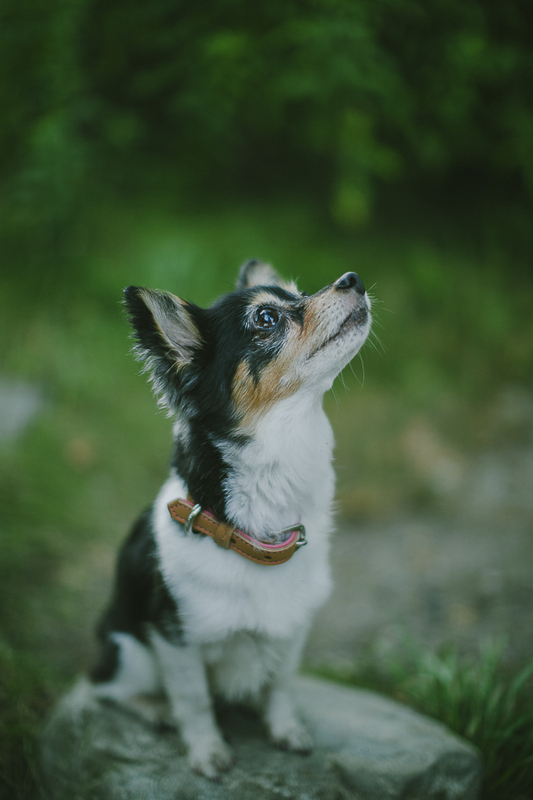 I love that Greta included this photo in her submission. This is possibly my favorite photo because I think it will always evoke happy memories. 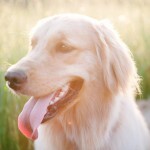 Follow Greta Tucker Photography on Facebook. 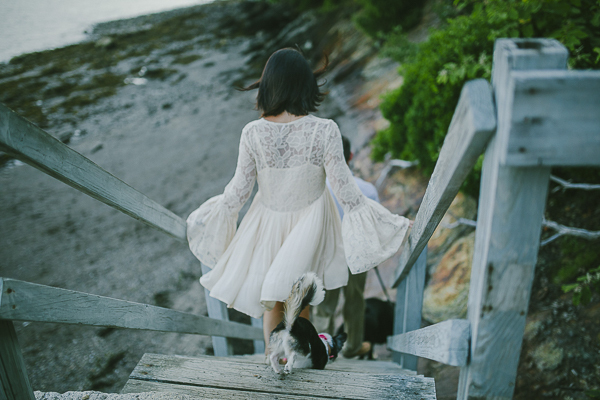 About Greta Tucker Photography: Based in Portland, Maine, Greta specializes in family, couple, and wedding photography. 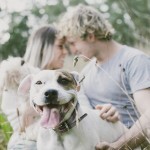 These are beautiful portraits and of course the dogs are adorable… very sweet! 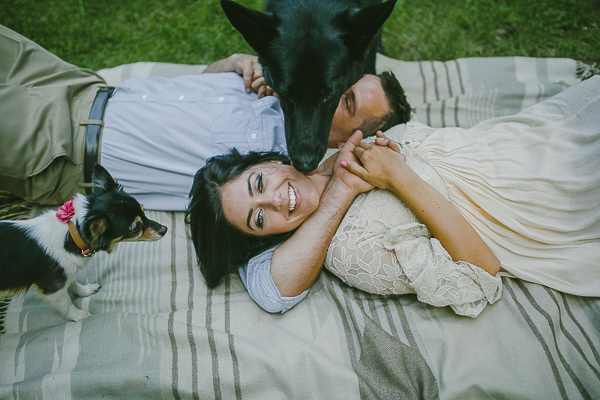 I love the one of the pup kissing her too. So sweet!! Looks like a very happy family!! 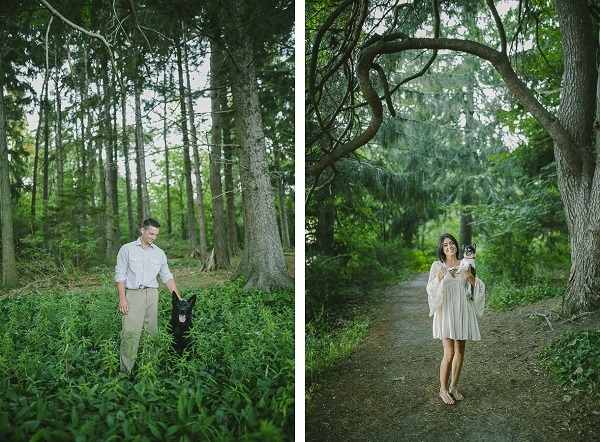 Aww these are adorable photos! And I love that you included your dogs. If they’re an important part of the family, then why not, right? So fun! And the location is gorgeous. What a beautiful family and equally beautiful stories! Looks like an incredible place to live too. Such a beautiful family and nature!! 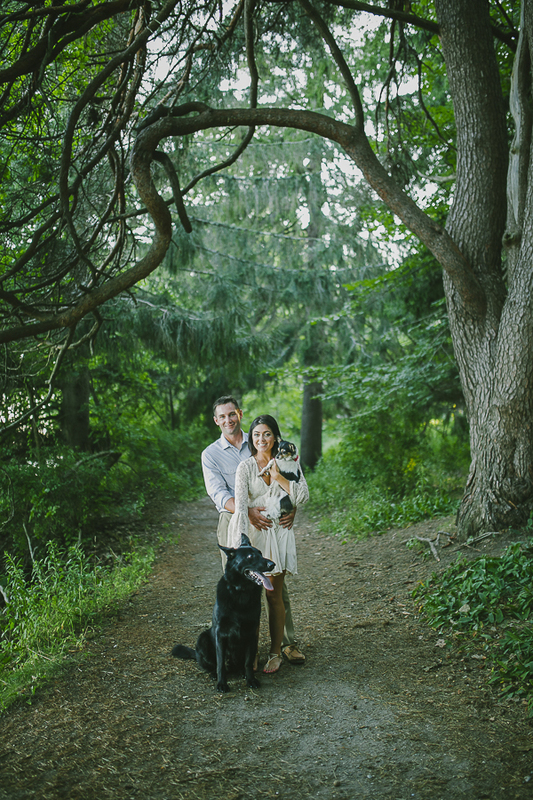 I’m definitely including my dogs in my engagement/wedding pictures! No doubt about that! They are family! Simply stunning! The love shows through… beautiful! Cute dress! And yes, that last photo is priceless. These are so lovely. I especially like the candid shots with the whole family together. 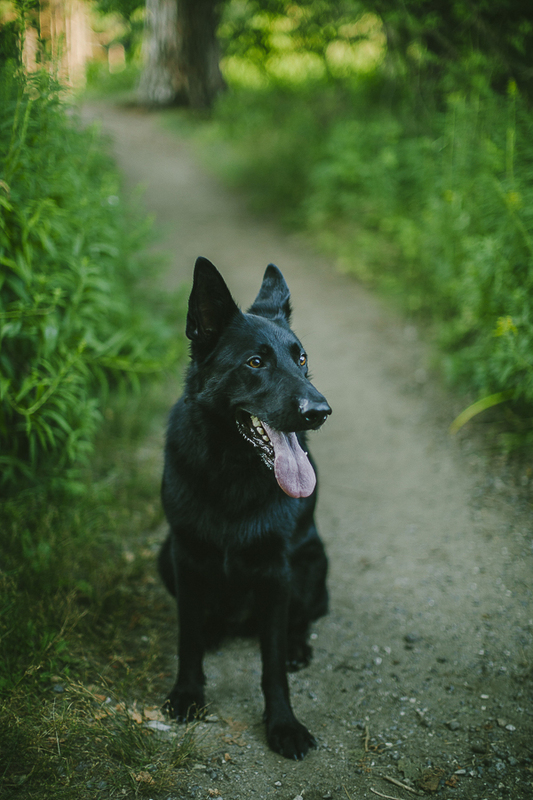 Aww… these pictures are so pretty and fun to look at. I love the lighting and colors too!! !